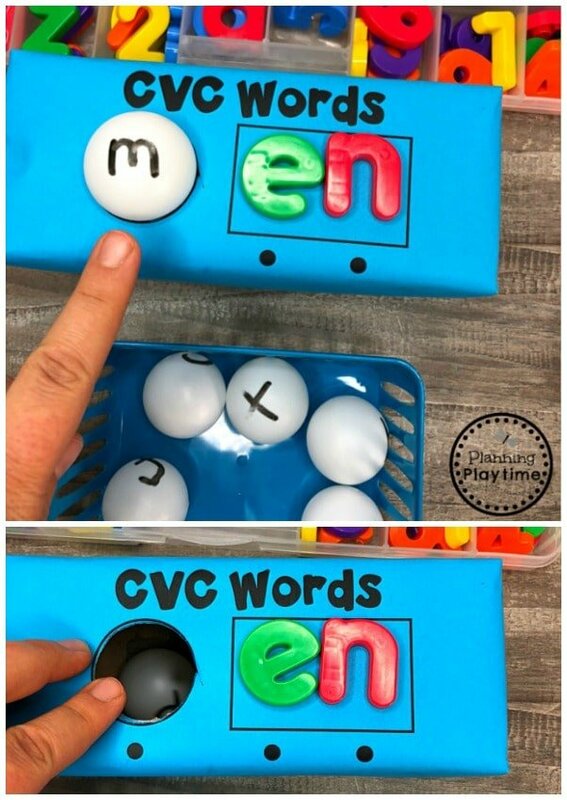 Looking for a fun way to teach CVC words? 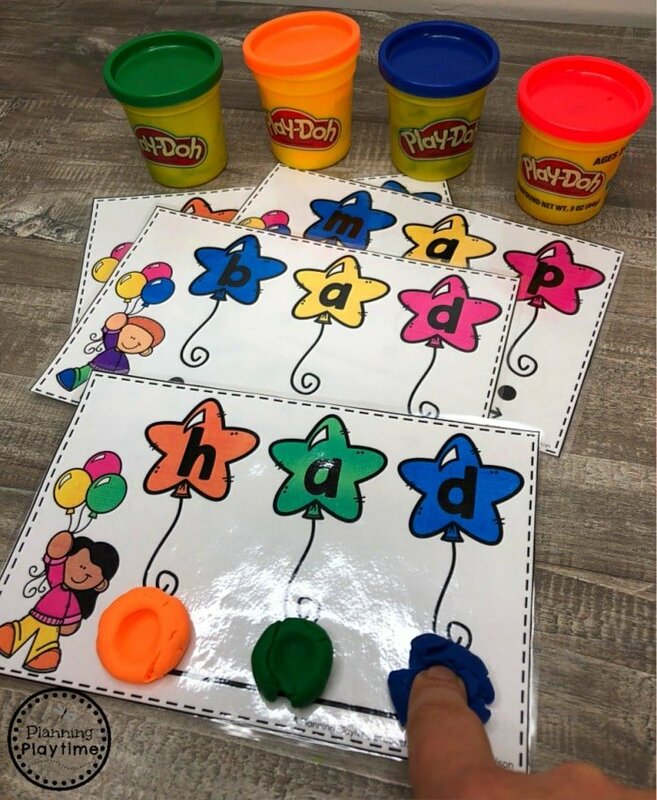 These fun, hands-on centers cover things like segmenting and blending sounds, beginning and ending sounds as well as medial vowels. 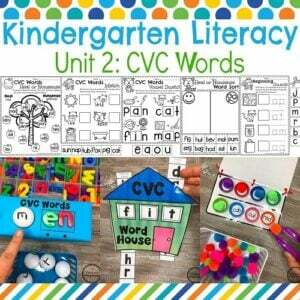 Kids will get to build, decode and read words in a variety of fun ways. 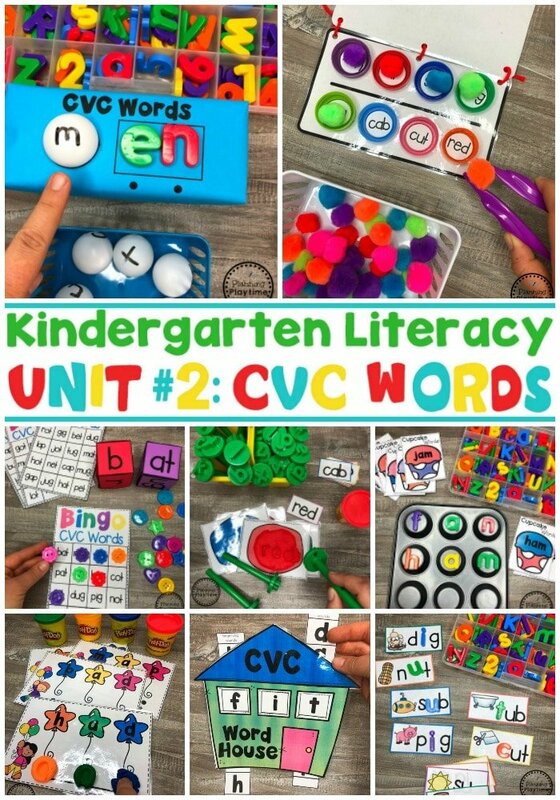 To go along with these awesome kindergarten literacy centers, you will also get a set of no-prep CVC words worksheets to get some extra practice on these skills. 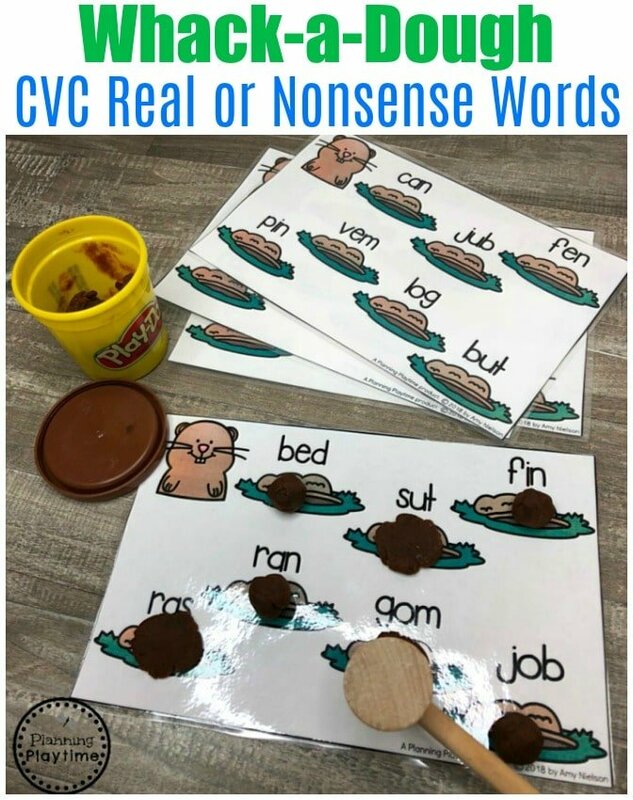 Wuold you like a quick peek at the activities in this CVC Words Centers set? Check it out below. 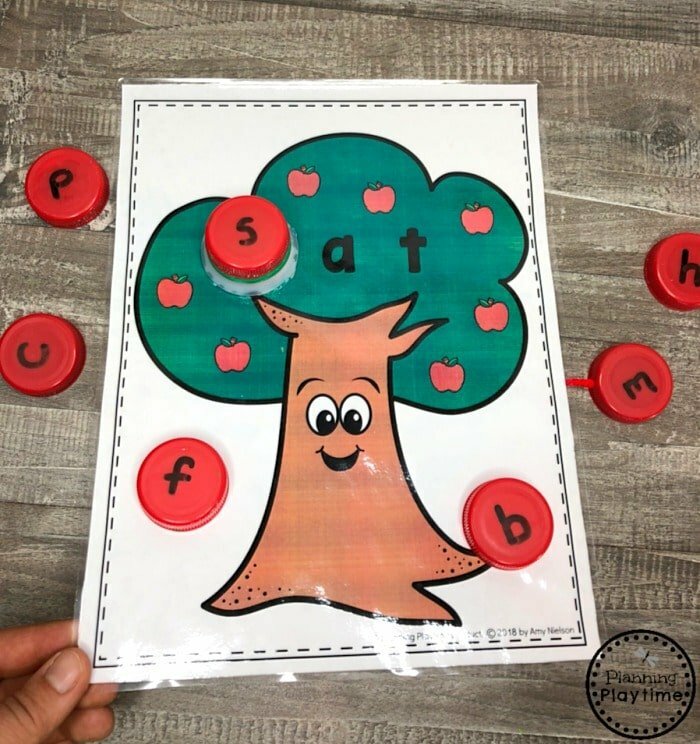 This activity combines the fun of fine motor practice with reading. 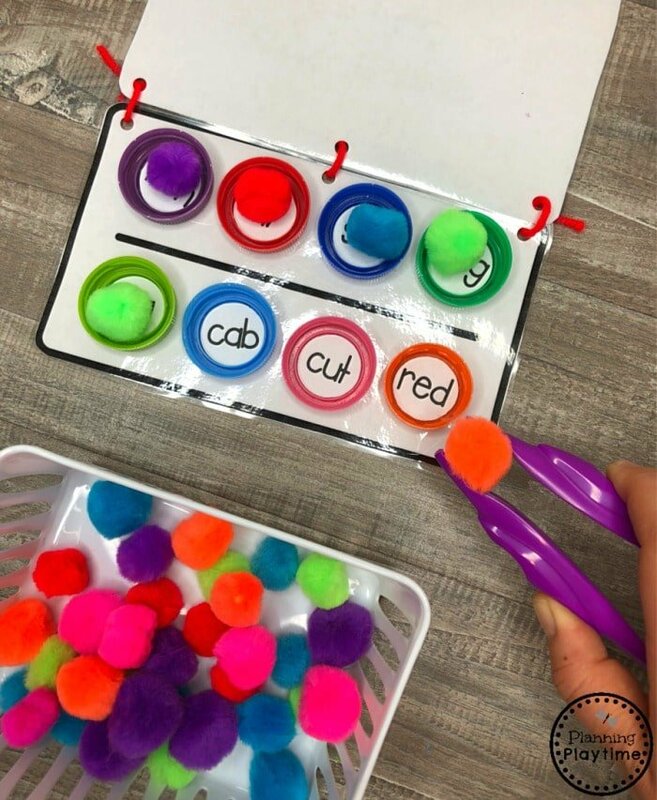 You can add the milk lids to make it 3D or just have kids place pom poms directly on the paper. We LOVE these alphabet stamps, and they are great for building words. I love that the kids can feel and touch the word while they decode and read. 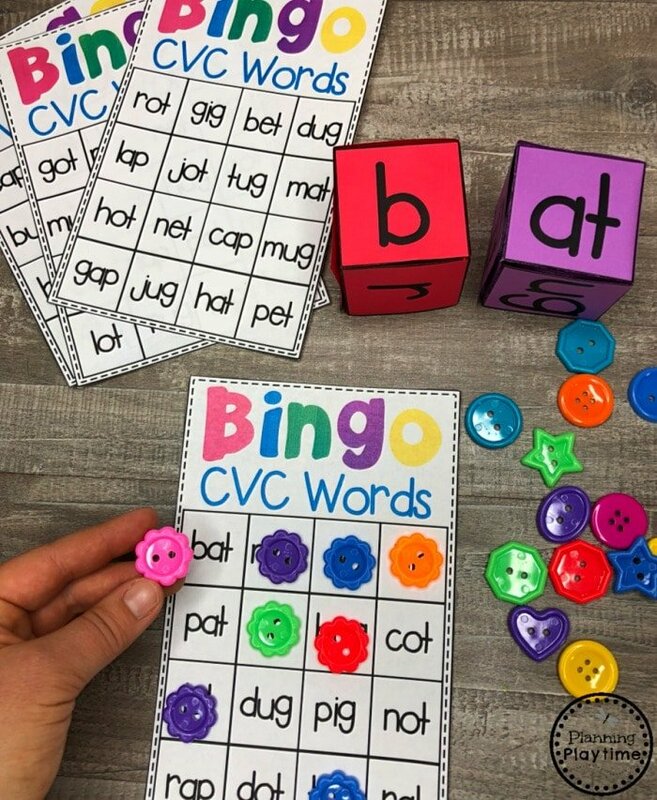 This CVC words Bingo allows kids to decode and read the words in two different ways. 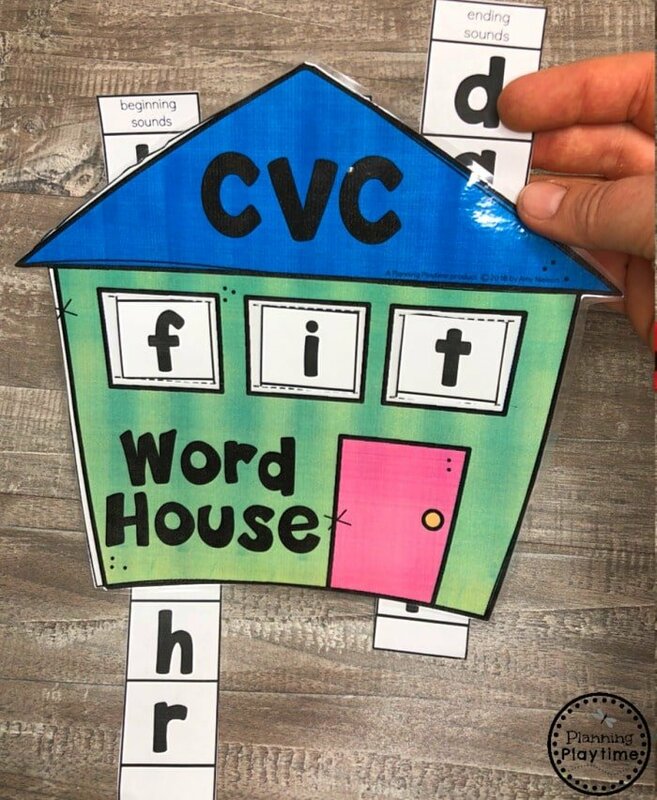 First they can build the word with a beginning sound and word ending. Then they get to read the words on their bingo card to see if it is there. We LOVE the extra practice. 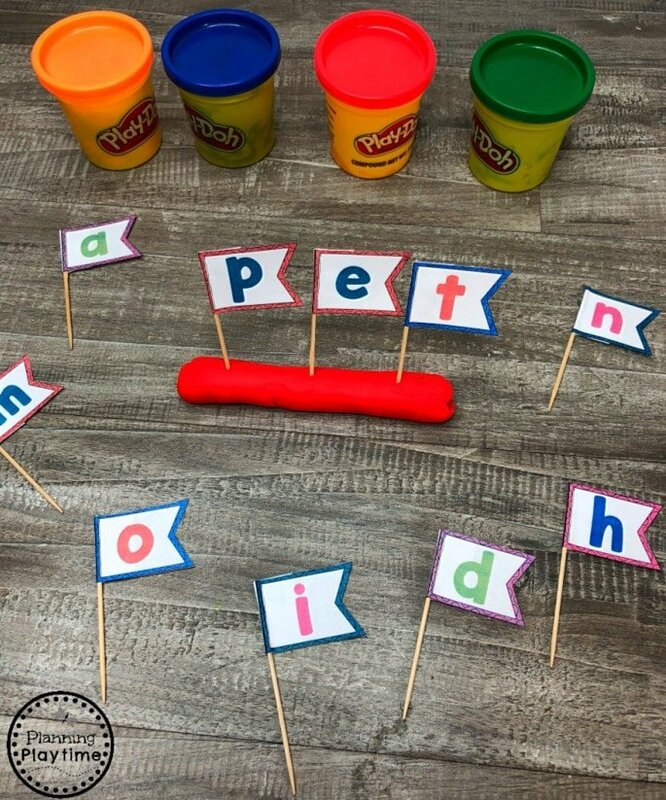 Children get to “pop” a playdough balloon as they pronounce each sound in these words. Then they follow the arrow with their finger to read it fast. This slider allows kids to experiment with switching out beginning and ending sounds as well as medial vowels. 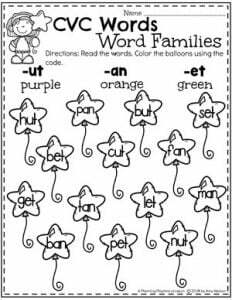 It’s great for practicing rhyming words and word families. Kids love cupcakes. 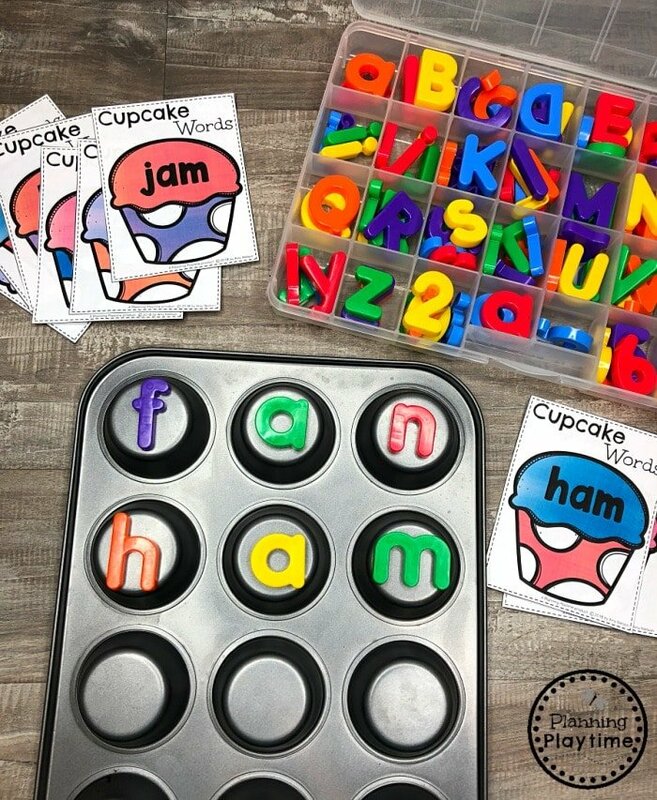 This activity is all about making their cupcake words on the back of a baking tin. The magnetic letters stick to the pan, and it’s a lot of fun. 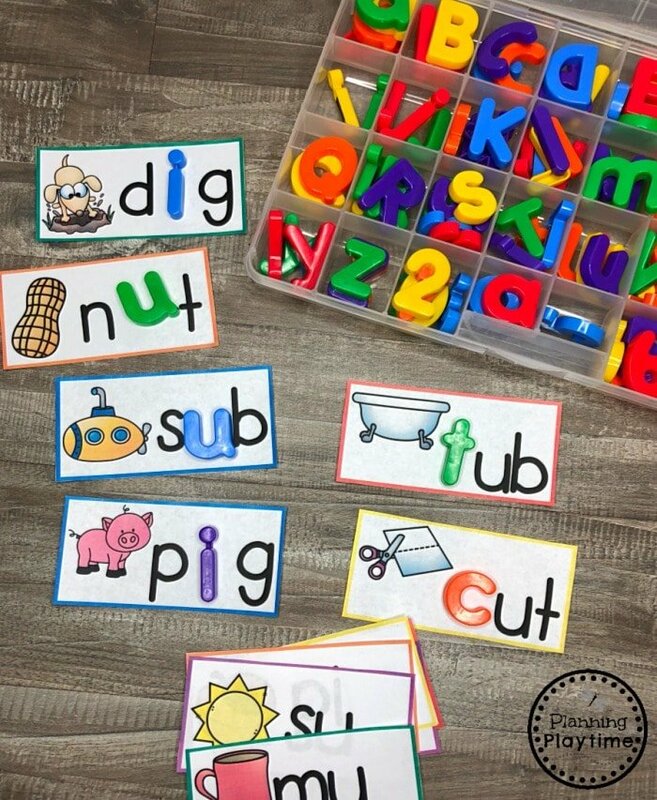 We love these simple fill in the blank word cards, because they help kids distinguish sounds in all parts of the words. 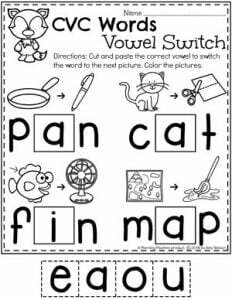 We used magnetic letters to fill in the blanks, but any small letters you have will work. These fine motor word pockets are fun and functional. 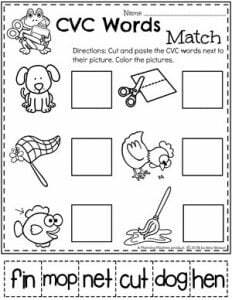 Kids can slip craft sticks in to build words, then flip just one stick to make a similar word or start with all new sticks. 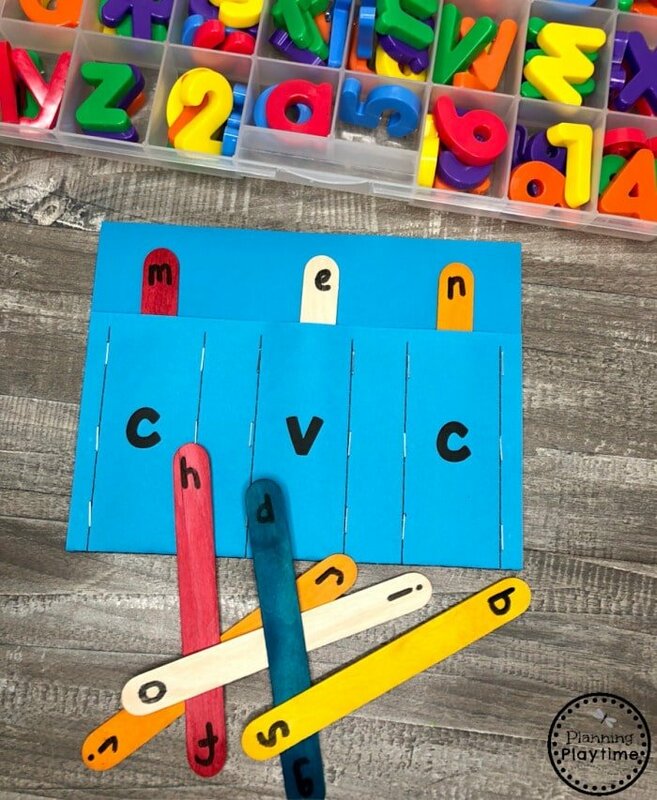 We used plain color sticks for the vowels and colored sticks for consonants. A used Ziploc box makes this fun read and bop game. Just add ping pong balls. 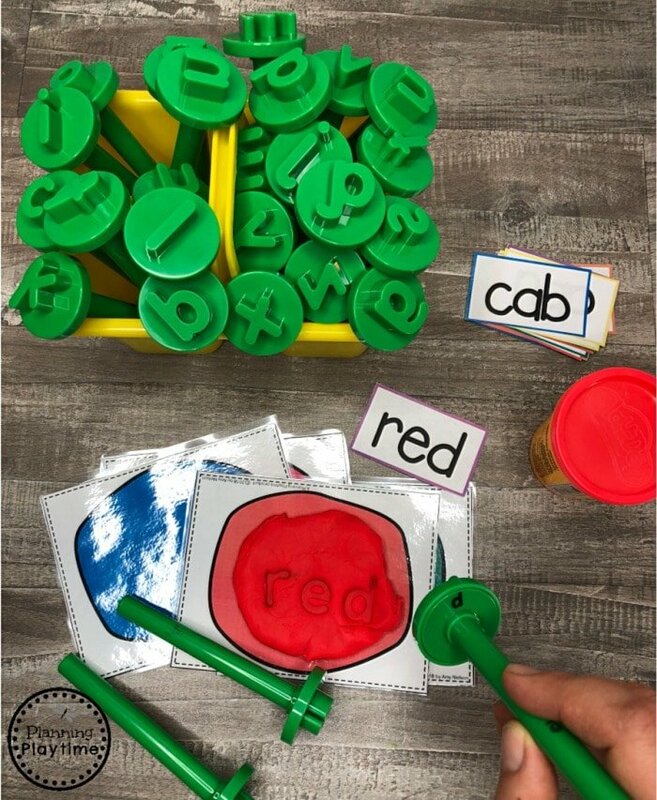 Placing flags in playdough to build words is a lot of fun. 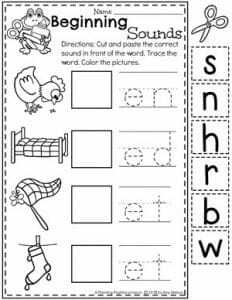 It’s a great sensory way to practice your reading. Kids love, love, LOVE this game. For this activity, you place a little playdough ball on each mole hill, and then read the words. If it’s a real word, you move on. If it’s a nonsense word, you get to whack it with a hammer. 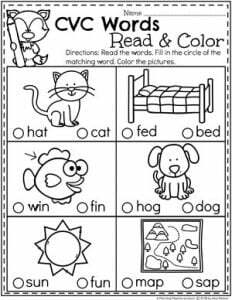 Here is another fine motor skills reading game. For this one you get to screw on milk lids to make the beginning sound for each word. 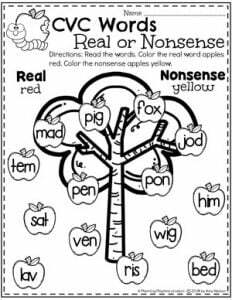 Swap out tree pages for different word endings. 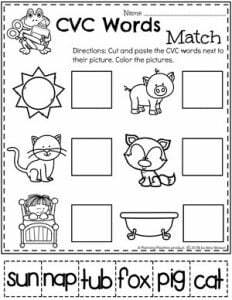 We’ve included 15 no-prep worksheets in this set for you as well. It allows kids to keep working on those skills they’ve been practicing in their centers. 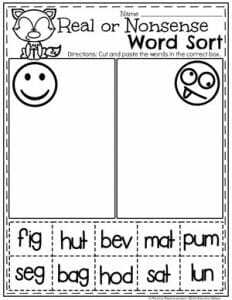 Here is a sneak peek at some of the worksheets in this set.